The reign of the compact disc has passed, but CD case packaging has a little more staying power. CDs made headway as more and more homes started buying their own personal computers. They were sleek and shiny, a big step up from the formerly prevailing floppy disks. But like anything, they’re prone to a host of inefficiencies. Quickly scratched. Fragile. Security easily overwritten. Not a lot of real estate on the disc itself for branding or information. This made their packaging all the more important. Whether a company utilized the standard flip style, a sleeve or something else, this custom packaging protected discs from potential danger. It also created an attractive storage option, not unlike books on a shelf. Flashdrives and custom USB drives entered the scene next, and their ease of ease and relative durability have brought them to usurp the place previously held by CDs (and will the cloud trump the convenience of the USB drive? Not until Internet access is stable and accessible everywhere, methinks). But flash drives have more in common with CDs than you might think. While USB drives step it up in most areas–storage, security, accessibility–they can also be fragile with little space for branding on the device itself. That’s why Sunpack created something just for custom flash drives, similar to CD case packaging: the FlashPad. The old adage holds true: if it ain’t broke, don’t fix it. 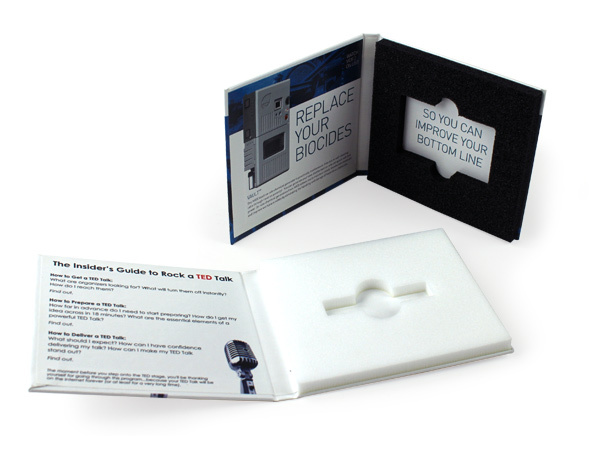 FlashPads utilize the familiar CD case packaging style, down to the flip-open cover. But inside, users don’t find a reflective disc, but a foam insert molded to snugly fit a personalized flashdrive. The USB drive can hold whatever information you want to share. The packaging does the hard work of attracting the user in the first place. Your custom FlashPad can utilize nearly all the high-end elements we use in boxes and other types of packaging. Virtually any aspect can be customized or personalized to your company, and any senses you wish to engage. Let their fingers glide over soft touch lamination with raised embossing. Their eyes can take in the vibrant design and sleek packaging. …and that’s all we can really do from our end. If your organization really wants to find ways for taste, smell or hearing to be part of the package, dive in! While the FlashPad riffs off classic CD case packaging, it brings up to a new level of accessibility. Many newer laptops don’t have CD drives anymore. Flashdrives are becoming the de facto way to share information. And our options for packaging don’t stop with the FlashPad. There’s another, sleeker option that works well for more than just customized USB drives (business cards, bottle openers, and more are just a few things that the insert can be molded to fit): the FlashPad Wallet. Mimicking a bifold or trifold wallet closure, the Wallet is a slightly smaller and more compact option. Neither of these to your liking? Contact our sales team to start from the ground up for totally customized USB boxes! Happy first day of September, packaging world, and that means a new special is on the table. The FlashPad Wallet is one of our favorite products, and it's one of our client's favorite packages, too. Here are some of the ways in which we've optimized this *multum in parvo* product (that's "much in little" if you need to brush up on your Latin)! Engaging students is the number one job of any higher education institution. No matter the department--academics, student life, the library, and so on--they want to make sure that every student has information they need to be successful. 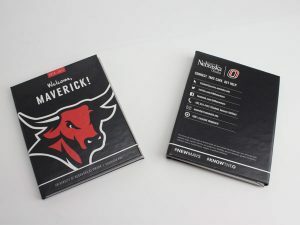 The University of Nebraska used a FlashPad Wallet to engage incoming freshman on several levels. 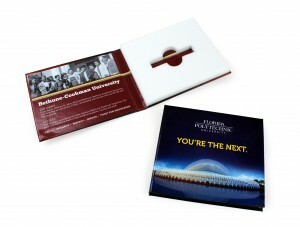 The custom design is eye-catching and clearly branded; the recipient is affiliated with the college. The space on the outside contains targeted messaging as well as social channels for the user to check out. Open it up, and there's more information as well as a key. Not just any key, but a USB key. And, not to drive the metaphor into the ground, but it's a key to knowledge, a new life on campus, and to the next phase of their lives. FlashPad Wallets are ideal for replacing stacks paper marketing materials or other types of information. As a thank you, a mortgage lender might provide a new homeowner with maps of the area, coupons, home maintenance services, and more. By condensing all that information onto a flashdrive, they've cut down on paper as well as managed to keep their brand at the forefront with full color printing that's vibrant and inviting. Using a flashdrive also makes it easier for them to keep the information current by using hyperlinks instead of printed material. These examples come from several organizations, but the versatility and level of customization is the same across the board. 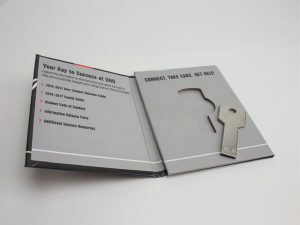 The FlashPad Wallet die-cut cavity can be customized to hold anything you need--the above examples both hold flashdrives, but also gift cards, commemorative coins or tokens, beer bottle openers, the list goes on. The only criteria? It has to fit the dimensions. The design be a bifold or trifold, depending on the amount of content that should accompany the item. 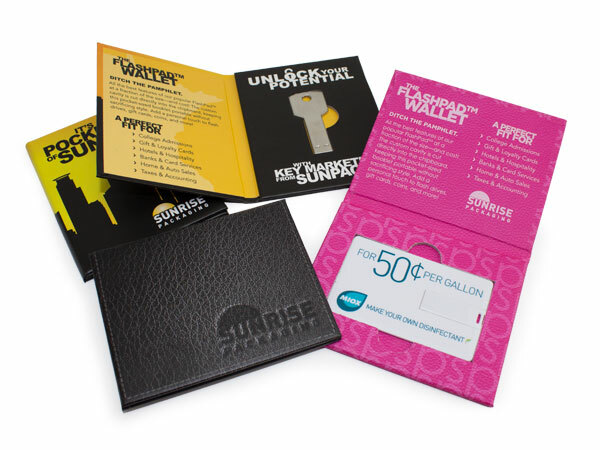 The FlashPad Wallet can change they way customers perceive your business, and Sunrise Packaging is currently the only producer of these items. And, for this month only, there is no artwork fee. Contact Sunrise today! Okay, let me rephrase: FlashPad Wallets make the perfect closing gift *holder*. Giving clients a gift at closing as a realtor sounds like a great idea. Who doesn’t like presents, for one, and a gift is a great way to express your appreciation for their business. It’s also a delicate way to ask for a referral (directly or indirectly, depending on your style). However, there are ample opportunities for the sweet gesture to go awry as RealtorMag describes. For example, a set of crystal wine glasses sounds lovely. Unless they’re emblazoned with your company’s logo, in which case it’s really just a present for you, right? And what if they choose not to drink alcohol? Yes, we know that wine glasses don’t have to be used for wine, but it’s the implication as well as the lack of personalization that offends. So how does one come up with a gift that’s personal (but not too personal), won’t offend in any way, leaves a positive impression and reinforces your chance of a referral? FlashPad Wallets are a new take on our classic FlashPad. They are smaller, lighter, and more portable. The Wallet snaps shut and opens like a bifold wallet (hence the name...and it also possible to purchase as a trifold for more content). The inner and outer areas are completely customizable to whatever logo and messaging you want to share. 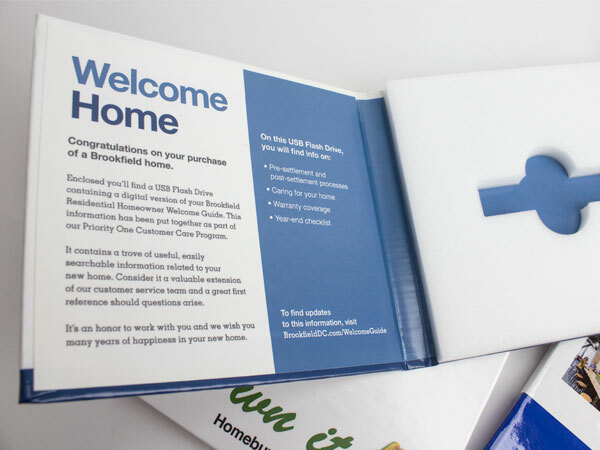 While the package might become a keepsake for your client, what’s inside will catch their eye. As RealtorMag notes, there’s one gift that everyone appreciates: money. It’s a tad gauche to fill it with cash, not to mention impersonal, so select a gift card that meets their needs. You’ve spent a substantial amount of time with them, so think back to conversations with them. Are they planning on buying new furniture? Do they love Starbucks or some other item? Does their new house have a lot of shelves that need to be filled with books? The opportunities are endless. The finishing options for FlashPad Wallets also allow for you to write a personalized message while the preprinted packaging does the selling for you. Another option for the Wallet is a USB drive to be filled with whatever materials you share with clients. Information about their new neighborhood, any closing documents that can be saved digitally...whatever you can think of. I love the key-shaped USB for this idea; it’s a nice touch without being too cutesy. Regardless of how you choose to bookend the relationship, your client will probably remember you more for how you worked with them than the closing gift. Use the gift to build your reputation and connect with clients on a deeper level. And let the FlashPad Wallet remind them of where to send referrals. “Podcast” is a polarizing term. If you know what it is, there’s probably a few you can’t live without–don’t commute without one, in my opinion–or you have no clue what I’m talking about. If you’re of the latter category, I envy you. You’re about to discover specialized, personalized internet radio shows for the first time. But if you’re already an avid podcast downloader, then perhaps you’ve thought about starting your own. Not even a decade ago, if you started a podcast, you could probably rank #1 in searches. But now as the internet has given birth to you YouTube stars, podcasts have become the cat’s pajamas. Everybody and their brother has one. I have one. And once you have one, the addiction becomes sort of like tattoos–you just have to have another. My podcast was more for pleasure than for business. Local fame and a few loyal listeners was plenty for my ego. But if you’re looking to make a name for yourself in the medium, you already know you’ll have some competition. Even if you’re hosting the most niche podcast–Crust-First Pizza Reviews on Horseback, for example–the ease of creating your own show means you’ll still probably be buried. If you want to give your podcast some notoriety, I suggest going analog. Creating a podcast flash drive for your show is just good business. A USB drive acts as a gift, stores nearly-unlimited data, and lives up to its name when it comes to flash. Once you have them made, simply hit up the convention of your choice (preferably one relevant to your topic) and let the SWAG flow! Before you hit the trade show floor however, consider this a checklist for what to include on your podcast flash drive. Here are 5 that cannot be missed. While giving your listeners a sample, don’t forget to set them on the path to finding your show online. That’s the beauty of a flash drive—digital content. Easily create a shortcut to your show’s website, or any social media that you update. Be bold–send them right to the subscription sign-up! Or maybe you have a Kickstarter or Patreon that needs some traffic. Right now, some of you amateur ‘casters are thinking “Hey, I have a face for radio, that’s why I started a podcast in the first place!” Tough! Images, especially video, can set your podcast apart. People loving putting a name to a voice too. Include a compressed video of some behind the scenes action on your podcast flash drive. At the very least, it’ll make the viewer feel like they’re on the ground floor of something big! When I said “on” I didn’t just mean digital contents. Let’s not forget the exterior of the flash drive. One of the most thrilling parts of starting your own podcast is creating a compelling logo. If you haven’t done that, well…that’s Step 1. But Step 1.5 should be to show off that logo on your custom USB. This one might be a little more specific to me. 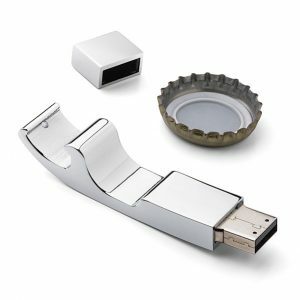 As the cohost of a beer review podcast, I think this bottle opener flash drive would be the perfect promotional gift to my listeners. What would yours be? Choosing a flash drive that represents what your show is about is not only charming and clever, but it makes an already practical gift even cooler. And with so many different-shaped flash drives out there, finding one that’s the right fit for you is even easier than hitting the record button. As a bonus, package your podcast flash drive in one of our signature FlashPads™. The smooth hardcover presentation will leave your competition in the dust. Make the perfect modern mixtape to find your listeners. Show off even more visuals, cleanly store your preloaded USB drive, even use an NFC tag for more interactivity. Above all, when getting your podcast off the ground, it’s important to think outside the box. And outside the internet. Don’t wait for people to search for your show, give your show to them! For more info check out the USB Packaging blog! Is it a Book or a Box? It’s a book! It’s a box! It’s…a what now? When it comes to our custom pads, we often get asked What are they? Is it a book or a box? Sometimes, we even have to ask ourselves that. Okay, let’s explore the book angle? Hardcover? Check! Turned edge binding? Absolutely. Front cover, back cover? Images? Blurbs? Yes, yes, yes, and yes! And pages? Okay, that’s kind of a big one to not have for a book. But you can read a custom pad. Open one up and there’s plenty to read. That’s one of the biggest reasons for their popularity at trade shows or for software. The minute you have one in your hands you can’t NOT open one! There’s something about holding a custom pad that feels…valuable. Like a book. It’s that same reason why hardcover beats paperback, or why a real live physical book beats an e-book. So maybe it’s not a box or a book. So what is it then?! It’s a book box. It’s hybrid packaging. It’s a solution. Look, whatever you decide to call our custom pad family, there’s one word that sums them up perfectly: effective. As a miniature marketing kit, as retail software packaging, as trade show SWAG, as a flash drive holder, as a digital album, a custom pad shines. It stands out. And, most importantly, it gets opened. When you want to be seen and remembered–a customized pad, a personalized FlashPad, or a specialty-wrapped PowerPad packs the biggest punch. See what our little book box can do for you. If you follow this blog with any consistency, you probably know how awesome the FlashPad™ is. If you don’t, here’s a brief reminder why it is the top tier of custom flash drive packaging. The FlashPad is a turned-edge hardcover binding that, when affixed with a die-cut foam insert, essentially becomes a book. This “book” in turn can hold a flash drive, pen, or any other like materials. The near-endless customization options and sharp presentation make these pads a memorable packaging choice. Not everybody opens up an email…but everyone opens up a FlashPad. But you might not realize how convenient it is to get your FlashPad from SunPack into your client’s hands. We’re practically a one-stop shop. Sure we make custom flash drive packaging, but we’re also a custom corrugated box and thermoforming facility–which means we can do so much more for you. It’s Truly Full Service Flash Drive Packaging. Let’s run through it, shall we? You’ve decided you want to make a splash with the FlashPad. You’ve seen the statistics,and you know flash drive packaging will do the trick. So where do you begin? Well, technically you can start with the flash drive itself. These aren’t your father’s custom flash drives. You want one that’s dinosaur-shaped? You got it. Sunpack can get you the drive of your dreams. Consider it done. Let’s not forget why you’re going with flash drive packaging here. You’re going for all the great features a USB drive offers. Most important of all, the freedom that comes with massive storage space. With a flash drive, you can add that extra video. You can put the whole manuscript and the sequel. You can include all the photos you want. And guess what? We can load them up for you. You don’t have time to plug-and-load a hundred flash drives with all your e-materials. Let us handle that. Have you ever heard the phrase “Dress for the job you want, not the job you have?” That’s the FlashPad in a nutshell. It’s peacocking. It’s utilizing something unique to make a lasting impression on your potential client/publisher/producer/whatever. If you’re an independent businessperson, just a startup, this is your chance to send a message of professionalism. So choose your design well. Make the FlashPad look like your book, or give it the crisp, clean logo treatment to really brand yourself. In any case, we have you covered. 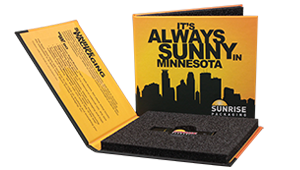 With offset printing, turned edges, foil stamping and embossing, you know your custom flash drive packaging will look the way you want it. When your flash drive packaging is looking dapper, the next step is to make sure it’s protected. Secure. That’s we we’ll shrinkwrap it for your. Fresh off the line, will make sure those colors stay sharp, those smudges stay off, and those prying eyes keep out until it reaches your recipient. And speaking of recipients, we can even take care of that too. Our corrugated packaging facility can create a custom mailer that perfectly fits your flash drive packaging. You can even customize that too. Add your logo or your office address. Heck, we can even seal it up and mail it for you. What did you think I meant by Full Service Flash Drive Packaging. Just one of the awesome things we’re doing at Sunrise Packaging these days. Everybody knows how cool flash drives are, right? USB drives have taken data storage to the next level. But what if I told you there’s still another level? A way to make your flash drive more than a flash in the pan. A way to make your jump drive jump higher. A way for your thumb drive to get a thumbs up. It’s Called Custom Flash Drive Packaging. More specifically, it’s called the FlashPad™ and it’s crazy versatile. It’s a way to take your flash drive from typical trade show SWAG to memorable marketing tool. A way to make your fledgeling business shine, or give your old dog some new tricks. 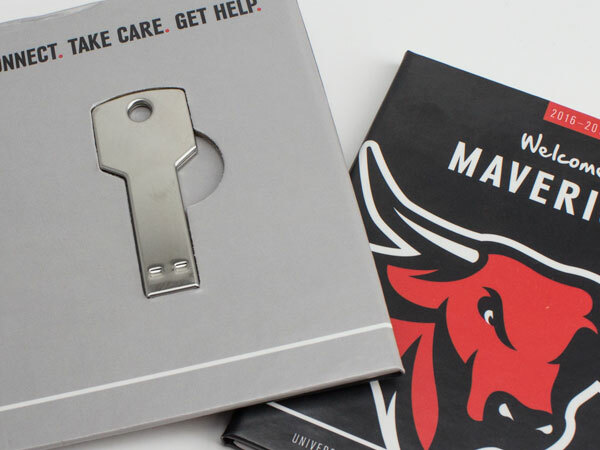 Custom flash drive packaging is the hybrid of an informational pamphlet and an email blast campaign–except, unlike most of those, this one will get opened, interacted with, and (most importantly) remembered. Coolest of all, the FlashPad™ has a die-cut foam insert tailored to your specifications–so a flash drive is just the start of what you can include. Here’s a quick look at 5 ways you can ride the crest of this trend. Go ahead and read’em. These ideas are on the house. You remember making a mixtape or CD for someone back in the day? And you juuuuuuust could not fit that one last song on there? Frustrating. Now imagine that on a global scale. Say you’re a garage band. You’ve played a few gigs around the neighborhood but you’ve dreamed bigger. You want a record deal. The Big Time. What are you going to do? Send out a CD, scribbled on with a Sharpie? Congratulations, you’ve given a record producer a new coaster. A perfect garbage can frisbee. But a personalized USB drive, dressed to the nines in custom flash drive packaging, shows you’re serious about making it big. A sharp, professional look. A mockup of your debut album, complete with a legible track list. Images of your band rocking out under the bright lights of your favorite venue. And, best of all, a preloaded thumb drive with all your songs. Consider: going with a guitar-shaped flash drive. Maybe include a pen too for signing your contract. If you’ve ever been on the business end of a tradeshow, you know how tough it can be to make an impression. You’re lucky if you get a couple minutes one-on-one to wow your potential client. More often than not, though, your pamphlet ends up lining a SWAG bag or someone just grabs your pen and vanishes. If only you could make that pen tell that person about your great business the next time they use it. With custom flash drive packaging, you can do one better: you can show instead of tell. The FlashPad™ becomes your pamphlet, complete with all the visuals and bullet points you love. And inside? Your talking pen: a personalized flash drive loaded up with instructional materials, your last office newsletter, videos of your product, and a shortcut to your website. Swish. Consider: making your better business card look like an actual business card. A customized Credit Card Drive has that traditional look and slim design with all the functionality of a flash drive. This isn’t the 80s where you can stumble into an interview with a goofy tie and cardboard box of rolled posters. Well, maybe you can pull off the goofy tie, but if your professional portfolio looks like you just got kicked out of your house, you’re in trouble. Now imagine being a graphic designer or an architect and strolling into that interview with a digital portfolio all presented in sleek, attractive custom flash drive packaging. Right off the bat, a customizable FlashPad™ printed with your designs is putting something visual and interactive into their hands. Or maybe you’re a wedding photographer hoping to show off your prints without the glare and bulkiness of a proof book. 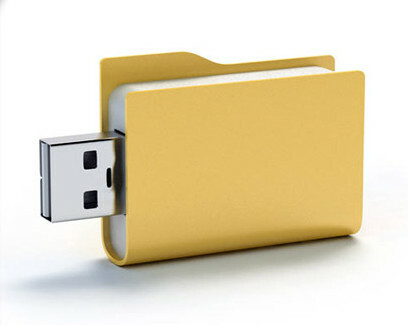 Consider: putting your digital folder in a folder-shaped flash drive. Now that’s just cute. I’ve mentioned this one before, but frankly, it’s a good idea. If you’re an indie author, you probably don’t have a lot of hard copies of your book lying around. And if you’re an author that dabbles exclusively in e-books, then you probably don’t have any lying around. But let’s say you hit it big with a monster e-seller. Somebody’s going to want you to autograph your book. Now if you’re a real smooth talker you might be able to take a permanent marker to their Kindle. Or if you’re a real fine handwriter, you might be able to inscribe the flash drive loaded up with your ebook files. But, if you’re smart, you’ll have a mockup of what your hardcover book would look like (in custom flash drive packaging form, of course). Sign that baby up and drop the mic! Consider: Know who else thinks it’s a good idea? Only Hugh Howey, the guy that changed the face of ebook publishing FOREVER. See how custom flash drive packaging worked for him here. Scenario: You’ve just invented the most life-changing software of all time. Maybe it’s the ultimate pop-up blocker or the greatest pay-to-play app of all time. Now how are you going to get people to use it? Are you going to hit up Comic-Con with a little square of paper with your URL printed on it? Heck no! Load up a flash drive with a digital demo and secure it in some sleek Silicon Valley-style custom flash drive packaging and get some results! Don’t forget links, concept art, and screenshots! 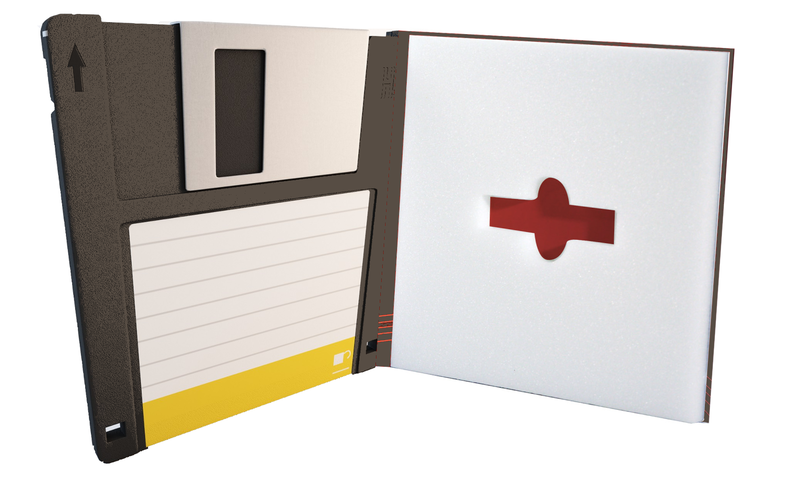 Consider: making your FlashPad look like an old floppy disk. Because nostalgia. All great points, I know. The standing ovation isn’t necessary, really. But all jokes aside, custom flash drives and packaging really do make a splash. They’re like a Bat Symbol for your intellectual properties. And in all cases, they give your potential producer/client/boss/whatever a smart, memorable asset. One with your name on it. And far more reusable (and professional) than any novelty whistle. 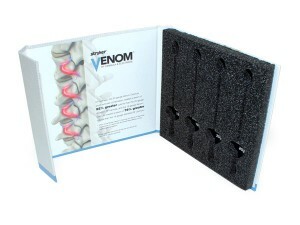 Customers can utilize custom die-cut foam inserts in various custom boxes and other turned edge products to offer product security as well as dazzling display. With custom die cut foams offered in assorted colors and thicknesses, customers have an extensive variety to choose from that will compliment their product line or marketing campaign. Our packaging solution – the FlashPad™ – is made precisely to hold a USB flash drive or other content options and give it a little extra weight – both literally and symbolically. The Flashpad™ is a hardcover flat with custom die-cut foam cavities in its interior. The die-cut foam can be customized to any shape or size product. 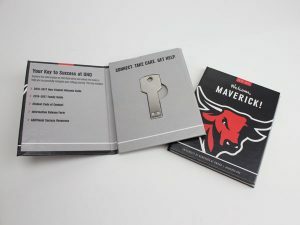 The end result functions as a book like product that holds a custom flash drive with custom pre-loaded data, other products or promotional contents.